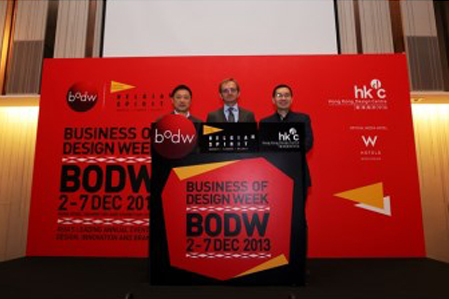 Hong Kong’s annual design event, Business of Design Week (BODW), guarantees to be full of “Belgian Spirit”, as more than 20 key designers from the country, such as Charles Kaisin and Marina Yee, will attend the forum to share their knowledge and insights in design. Carles Kaisin, who conceptualized the controversial K-bench, is a Belgian Architect designer who specializes in using contemporary design skills to create useful daily objects from recycled materials. His recent project in Brussels, “The Fantasies of Charles, his table and his guests”, presents a surrealistic dining place with a forest setting that took everyone by surprise. Marina Yee is a famous fashion designer who graduated from the prestigious Antwerp Royal College of Art and is being referred to as one of the “Antwerp Six”. She started her own studio, designing a wide range of fashion pieces that emanate spirituality and respect. One of the designs she was famous for is a dress made from vintage Japanese kimono fabric from the 1930s and IKEA curtains. She won the Brussels Young Designers Fashion Awards, the highest honor for this most original piece. Other guest speakers from Belgium include furniture designer Xavier Lust who specializes in innovative and simple furniture art pieces; Anne Chapelle, CEO of the esteemed fashion brands Ann Demeulemeester and Haider Ackermann; Flemish automobile legend Lowie Vermeersch who designed numerous legendary concept cars, including the Ferrari 458 Italia and Maserati Birdcage; Red Dot Design Award 2013 designer Alain Gilles for his Welded Table and Dutch hat designer for the royals and celebrities Elvis Pompilio. The list of renowned speakers doesn’t stop here. There are also famous designers from around the world to share their insights at BODW, such as Richard Florida who was hailed the “Voice of Innovation 2010” by BusinessWeek; Pritzker Prize winner Toyo Ito; Patrick Le Quément, the “godfather” of car design who designed Ford, Volkswagen, Audi and Renault; Italian industrial designer maestro Stefano Giovannoni; three-time Golden Compass Award winner Matteo Thun; industry mentor and influential consultant Larry Keeley; current Deputy Mayor of Barcelona Antoni Vives Tomas and Kwon Young Gull, Museum of Art, Seoul National University & Former Deputy Mayor of Seoul. The BODW Forum, to be held from December 5-7 at Hong Kong Convention and Exhibition Center, will touch on a wide range of topics: Cities Driven by Design; Culture & The City; Design for Experience; Fashion & Apparel; Technology for Design; Space & Design; Asian Design & Culture, and Product & Design. In addition to the three days forum, special events taking place during BODW from December 2-7 will include DETOUR, the BrandAsia Forum, the DesignEd Asia Conference, the Technology for Design Seminar, as well as the annual Hong Kong Design Centre (HKDC) Awards Gala Dinner.